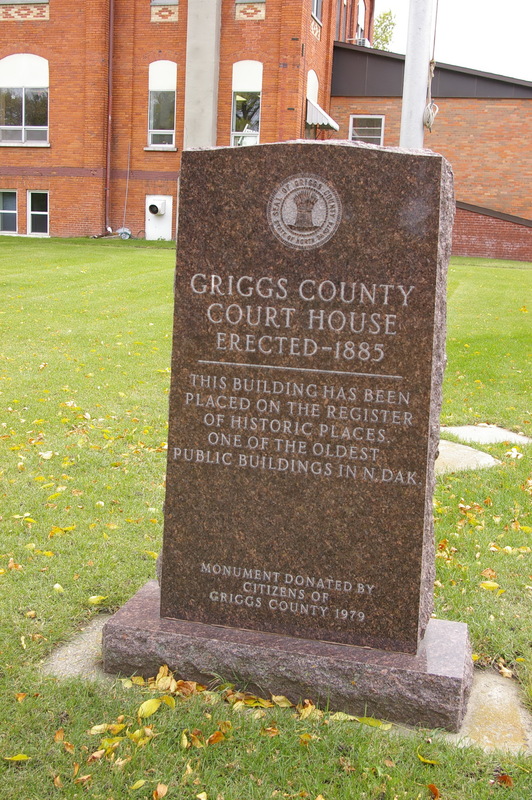 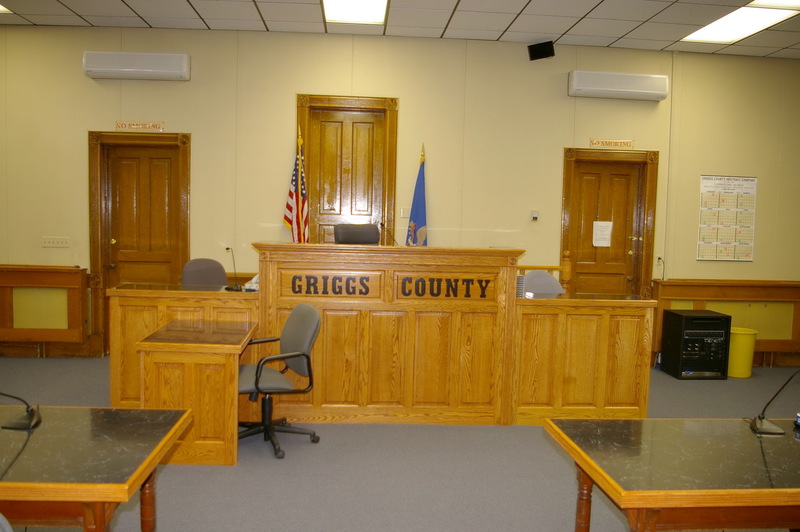 Griggs County is named for Alexander Griggs, a Red River steamboat captain and pioneer of Grand Forks. 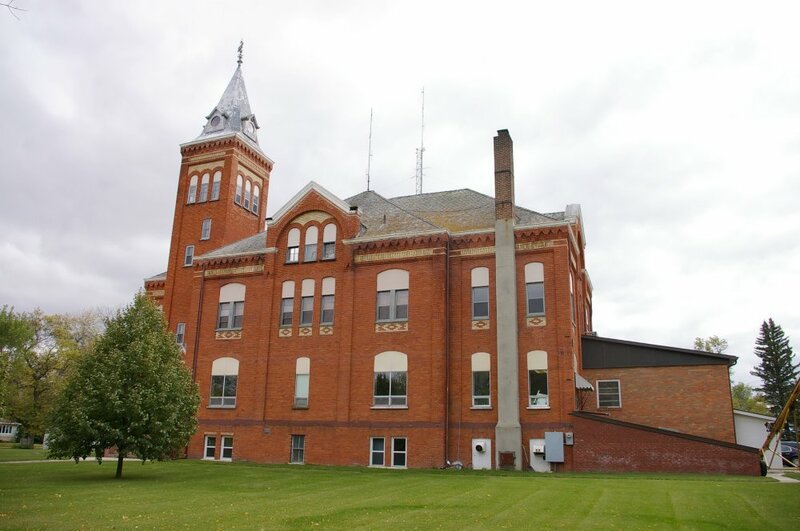 Description: The building faces north and is a two story dark red colored brick and stone High Victorian Gothic style structure. 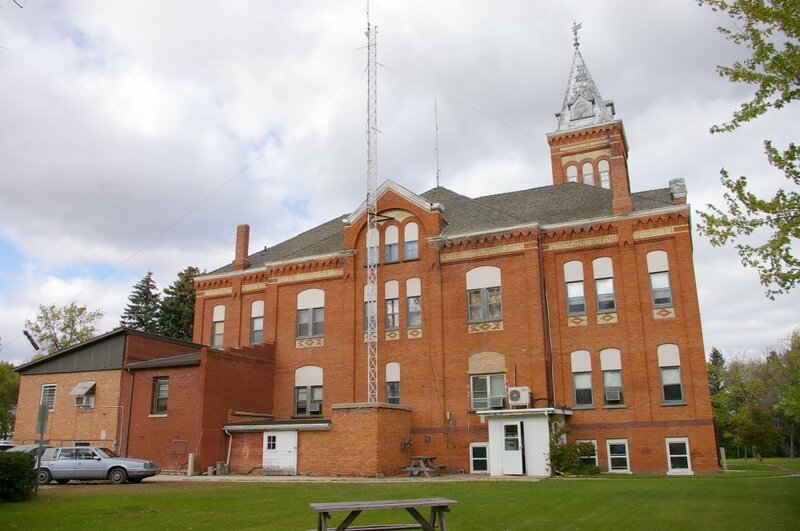 The building is located on spacious grounds in the center of the city and is 91 feet by 48 feet. There is a stone foundation and the stair tower ion the northeast corner has a pyramidal roof surmounted by an ornate weathervane. Below the second story windows are rectangular recessions of white colored brick centered with lozenge shaped patterns of black colored brick. 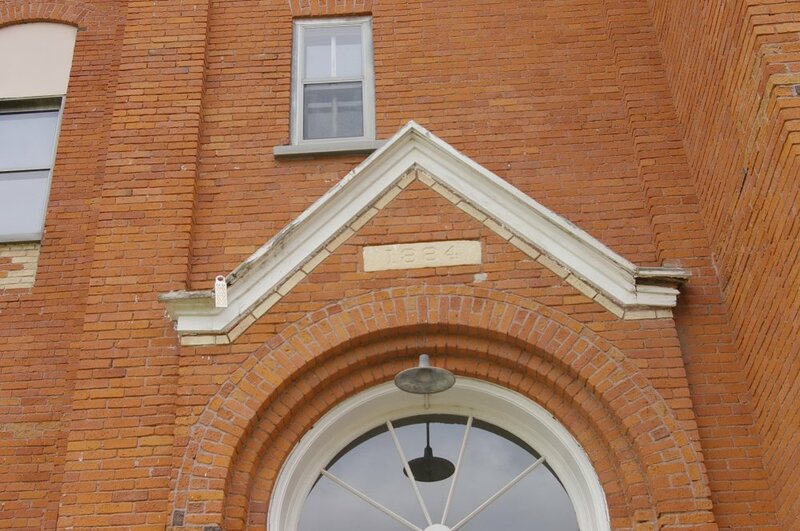 The building has a brick chimney. 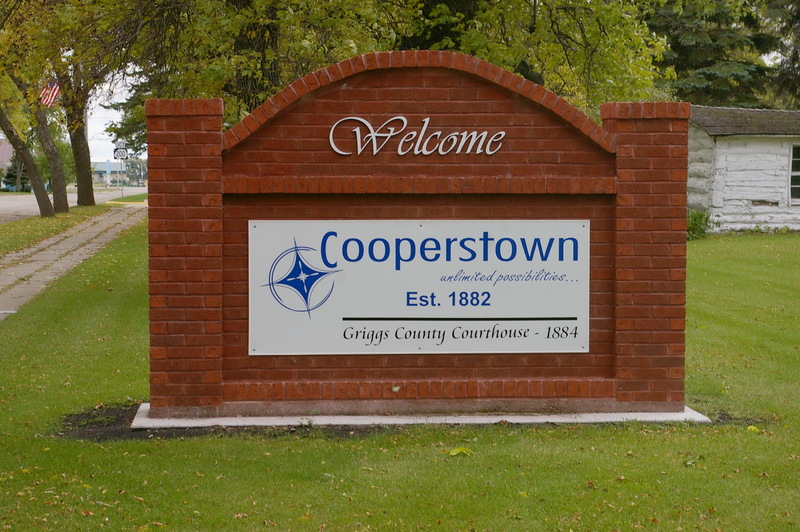 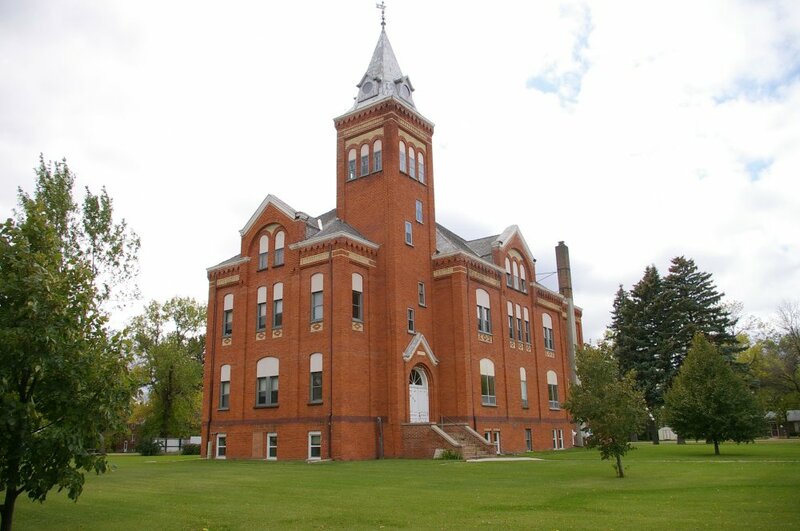 An addition was constructed by Wells-Denbrook of Grand Forks on the southwest corner in 1960. 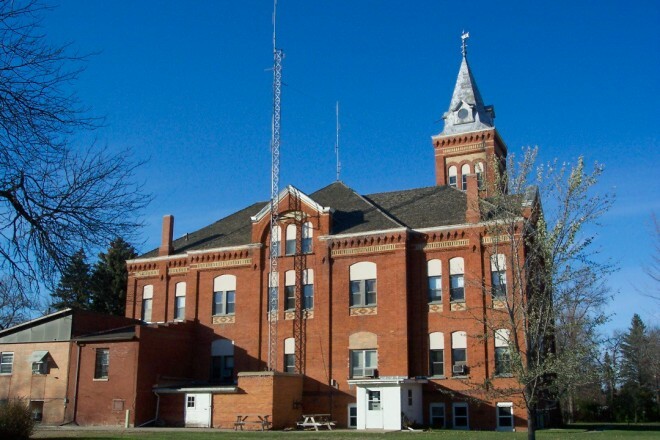 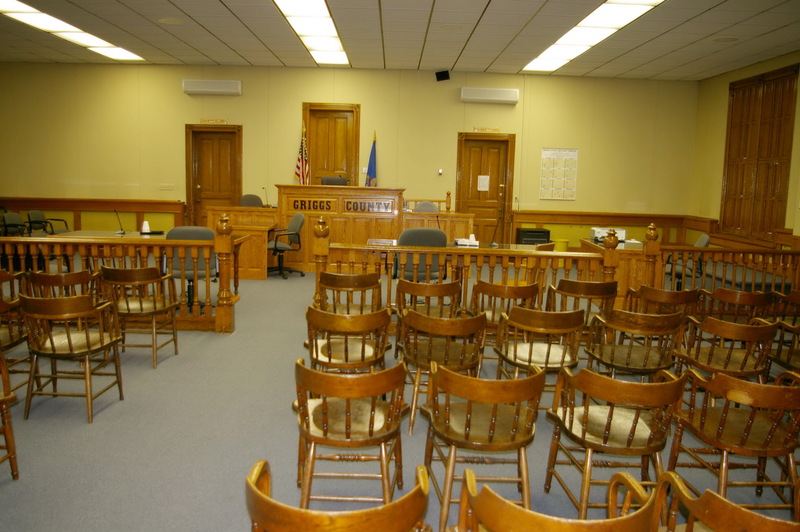 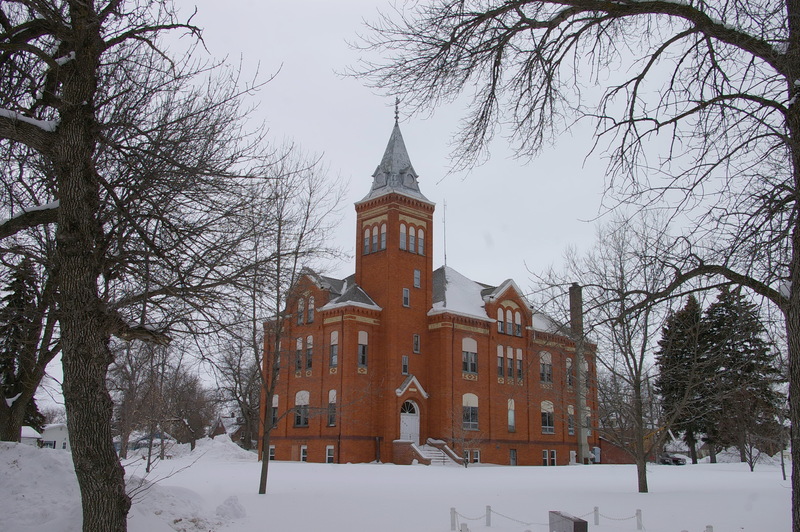 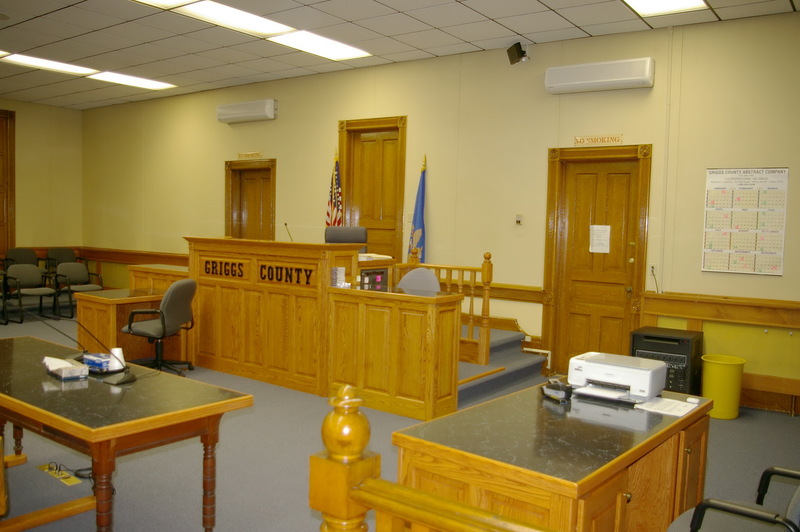 Note: The courthouse is one of the oldest public buildings in North Dakota. 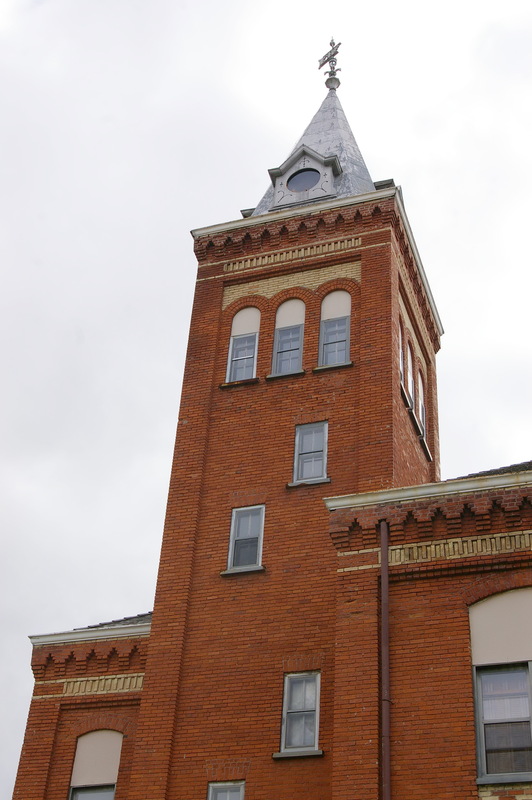 The cost of construction was $20,980.